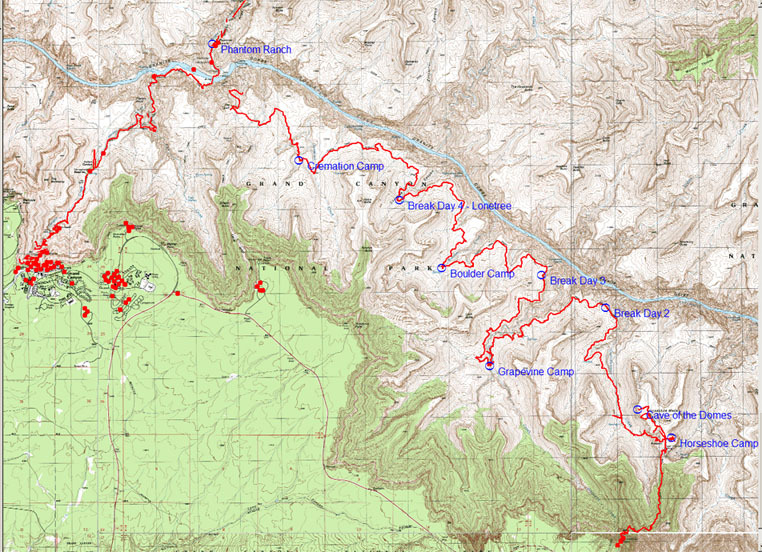 Here is the route map for our Grand Canyon 2007 backcountry trip. It was built using track files from my Etrex Vista gps. The breaks in the red lines are caused by the GPS losing satellite connectivity in some of the deep canyons. The squiggly lines and small circles between Horseshoe Mesa and Cave of the Domes were caused by us searching and backtracking for the side trail to the cave, we did find it!